As I touched on in the last article, the Australian Therapeutic Goods Administration (TGA) yesterday decided to continue with their ban on e-cigs containing nicotine. Part of their flawed reasoning cited evidence from the US which is hardly surprising. You see, one of the prime Australian ‘experts’ in tobacco control Down Under is the vandal-turned-clown Simple Simon Chapman, whose prejudice against e-cigs runs so deep that he has scoured the globe for straws to clutch in his attempt to obstruct vaping. On 5th January, Ireland’s Health Information and Quality Authority published a draft Health Technology Assessment on smoking cessation interventions with a press release. The assessment was positive about e-cigarettes…. Tobacco controllers do love sound bites. If you’ve ever read an article by any one of them you know that generally you can skip the first paragraph of anything they write because it will be sound bite after sound bite and you’ll have read it before, many times. 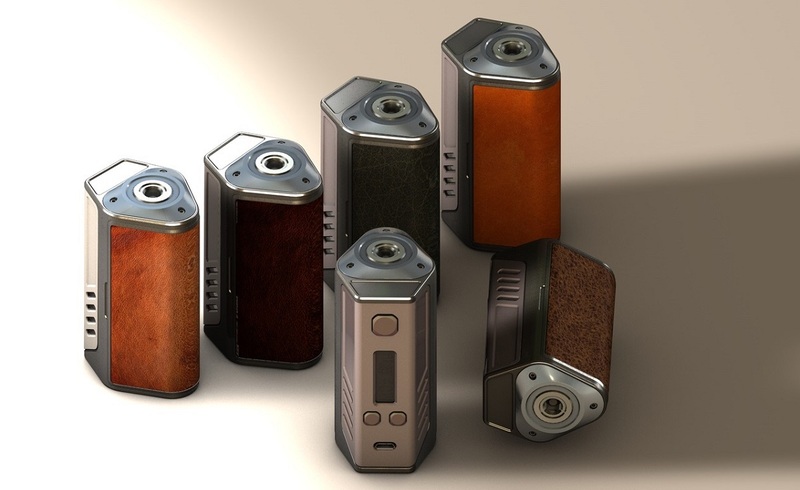 When e-cigs started to threaten the cosy existence of some of the more extreme tobacco control grandees, one of their favourite sound bites – repeated regularly – was that vaping was unregulated (it wasn’t) and that the vaping market is “like the Wild West!”. Australia could do with a large dose of liberalism – and I mean the proper variety, not the sort doled out by nanny statists who call themselves liberal when they are anything but. The opening line of the Australian national anthem is, “Australians all let us rejoice, for we are young and free.” Well, not as free as you would think. As reported widely last week, Apple has told a British vaping website, Planet of the Vapes, that no more apps or app updates relating to vape will be allowed on the App Store. In this small country of Central America, tobacco control was prehistoric a few years ago with neither a smoke-free policy nor a national Quitline available to the population, no warning labels on cigarette packs and a very low price due to low tax. A move is being made to turn the country smoke-free and Esner Vellos, Director of the NADCC, brings his brick to the building, following the guidelines of the WHO FCTC. The anti-tobacco crusade—one of the left’s favorite holy wars—has hit a wall. Though great strides have been made in reducing the rate of cigarette smoking, about 15 percent of U.S. adults continue to smoke and smoking-related illnesses cause nearly 500,000 deaths a year and $300 billion in medical costs annually. That’s separate and apart from the $156 billion hit businesses take each year in lost productivity. Some e-cigarette users in Montana say Senate Bill 147’s inclusion of electronic cigarettes and vaping products in the list of prohibited tobacco items in the Clean Indoor Air Act is a step backward for them. Belgrade vape shop-owner Deanna Marshall opposes the bill…. The Healthy Caribbean Coalition (HCC) has congratulated the Government of Barbados, for its “timely decision”, to ban e-cigarette use in public spaces. In the HCC’s latest news roundup for this month, the Coalition admits that “studies about e-cigarettes and smoking behaviour show conflicting results”. Whilst e-cigarettes were shown to be mildly helpful in kicking the habit in one clinical trial, the HCC points out that in other studies, e-cigarette use did not increase quit rates, or was even associated with a higher risk of continuing to smoke. Last year, the Labour-run Welsh Government put forward plans to ban vaping in all indoor public places in the same way as smoking has been banned. This was widely criticised as being draconian and indeed possibly counter-productive, as many people switch to vaping as a means of stopping smoking. Perhaps surprisingly, the most vocal opponents have been the Welsh Liberal Democrats under Kirsty Williams. It makes a refreshing change to see the LibDems actually standing up for something liberal…. Regular readers will remember that the campaign in favour of plain packaging by tax spongers in the highly state-funded tobacco control industry Goliath was a truly astounding display of mendacity and corruption. The level of cheating, chicanery, political manipulation and blatant, unapologetic, provable lies was quite simply off the scale, as I described in 2014. In an extraordinary leap of logic, a report in Tobacco Control (here) links ever use of e-cigarettes – even a single experimental puff – to subsequent ever use of cigarettes. Researchers from the Universities of Hawaii and Connecticut, and from the Norris Cotton Cancer Center in New Hampshire base their findings on surveys of high school students on the Hawaiian island Oahu. I’m going to malawi next month. Is it lawful to vape there? Can’t find any concrete answer. you should read this before commenting further on apples vaporizer patent. just shows you how misleading the media can be.